This week, I was selected to participate in the ModCloth Uniquely You campaign and was asked to style the Bouquet of the Season dress for an event of my choice. The moment I saw this dress, I thought it would be perfect for an afternoon garden wedding. Here in the South, if it’s an afternoon wedding, it is either in a barn or in a garden. Though perfect for both, I decided to style it as if the wedding was going to take place in a botanical garden. 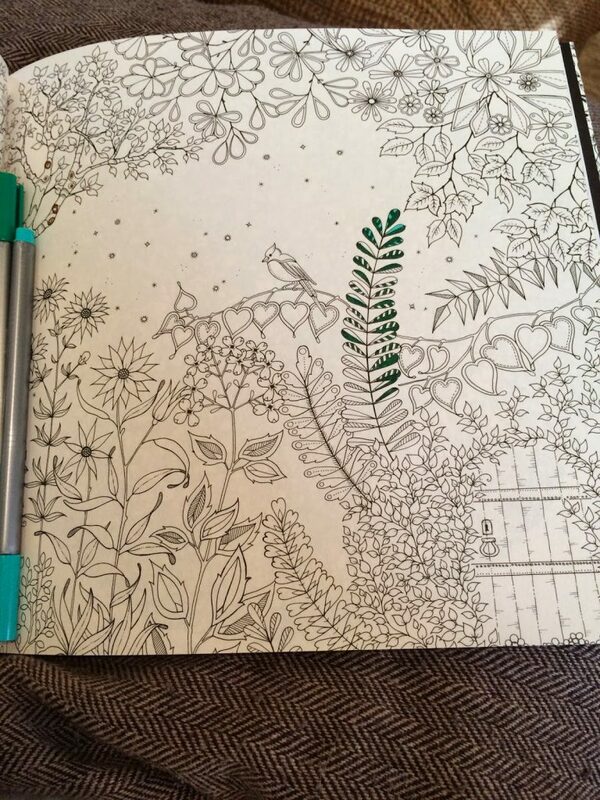 The whimsical pattern reminded me so much of the “Golden Afternoon” scene in Alice in Wonderland and I wanted to keep going with the flowers. 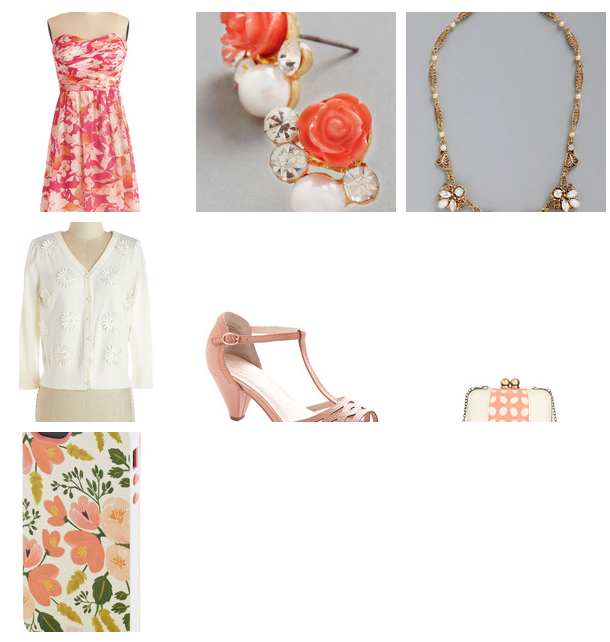 The Sashays Gone By earrings highlighted the hints of coral in what I would say is a predominately pink floral pattern, while the Everybody Dance heel and Fare Thee Swell clutch both brought out the very light shades of pink. I can just imagine dancing into the night in these shoes! After all, the name alone evokes dancing. The short heel is perfect for it, and for not getting stuck in the soft grass at the garden wedding. Whenever I think strapless dress, I always want to pair it with a pretty necklace and the Iridescent essence necklace is just that and adds shimmer to the florals. Just in case there’s a chill in the night air as dusk sets in on the beautiful garden, the Language lab cardigan is there to warm your shoulders as you enjoy time with good friends and family, capturing moments with your Pop-up flower shop case clad phone. Even your phone is dressed for the occasion. This outfit keeps you prepared at every turn of the afternoon garden wedding, from ceremony to close of the reception. If pinks and florals aren’t your thing, ModCloth has HUNDREDS (literally) of other dresses that might suit your fancy. I also loved the Backyard Boardgames dress, Fresh Spring Rain dress in pink, Keep your botanical dress, and the Points for Professionalism dress that’s coming soon! Each dress is just begging to be worn to that summer wedding (or two) you have on your schedule. Which dress is your favorite? Do you like how I styled the Bouquet dress? It’s Thursday! It wouldn’t be a Thursday with Katy and Nicole, of course, sharing our favorites. Want to share too? Link to the three of us in your post and make sure to comment on our posts so we can check out your favorites too! For some reason this week, I’m struggling to find a favorite! My life has been unreasonably busy this week and last week. It’s just how things get each April and it usually continues straight on through to mid August. I’m ready for this summer to be over already. A bonus this week is the unseasonably cool weather we’ve been having here in Georgia. Enough about me! Besides my (multiple) planners, coffee, and sleep being my favorite things this week, I’m excited to have an Eastern Collective cable on the way to my house. After upgrading last month, I found myself with an abundance of outdated technology lying around and lots of things needing to be updated. First, I replaced my portable battery charger with this Triple C charger. I used their products with my 3gs and 4s and their portable battery chargers are great. Usually I can get 75% charge back out of it. Next, I needed a new cable to connect my phone to my car. In case you can’t tell, I like to be fully prepared, so just having one back up charging option wouldn’t do. I needed an extra cable and didn’t want to just settle for the regular factory cable. I needed something more durable because I wore out a charging cable already. Enter Eastern Collective. I love their colors! 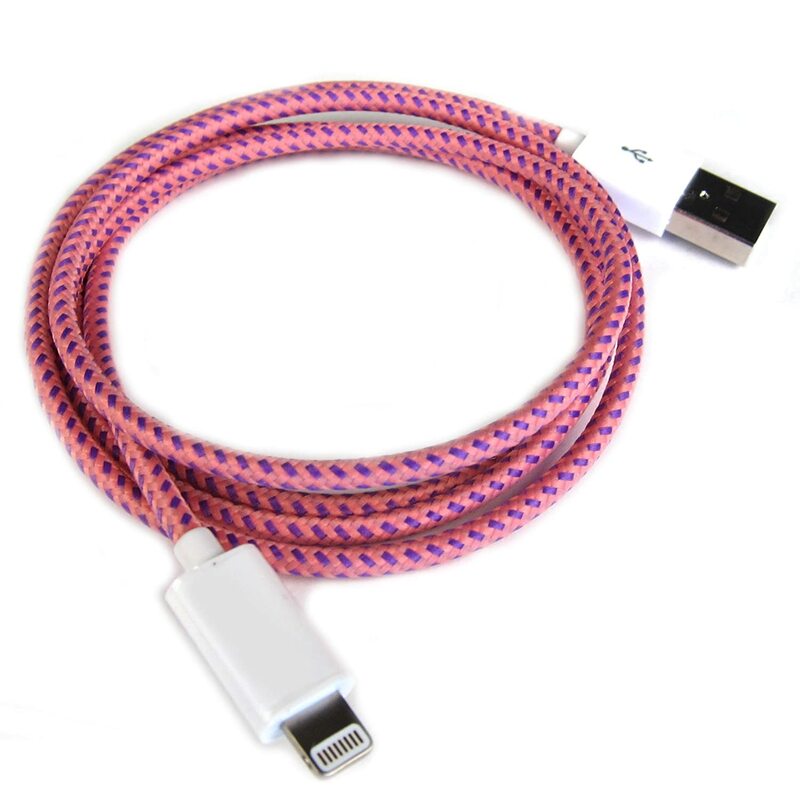 The length is longer than your standard charging cable too, so it will reach everyone in the car. First I saw them at Madewell, but I have to hunt the best deal. I ended up getting the pink one above through Amazon and cannot wait to see how well it works. In the long run, the slightly higher price of this cable will be worth being able to charge my phone whenever and thanks to my Triple C charger, where ever I want and won’t have to replace it as soon. So how has your week been? What’s been saving your sanity? *this post is NOT sponsored. all opinions are mine. It’s spring, and even though Georgia is experiencing winter like weather right now, I’m still ready to spruce up the house a bit. On the SNAP! Conference blog I saw a link to Jessica’s post on Mom 4 Real showing how she used cut out frames to dress up her fridge. Keeping things neat and organized is something that’s right up my alley. Inspired by Jessica, here’s what I did for my framed fridge project. FIRST: The frame. 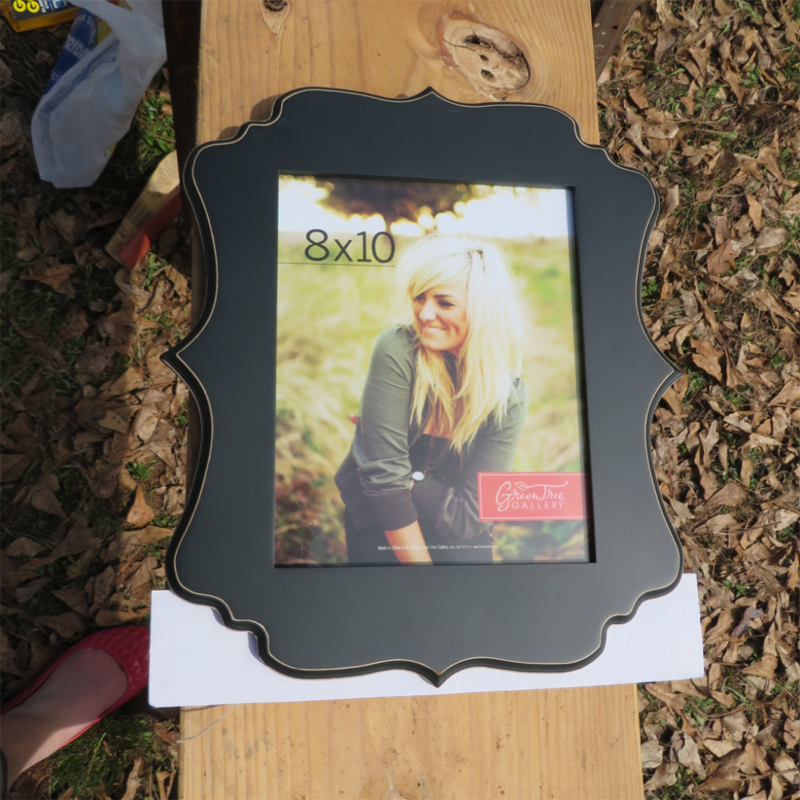 I went with the cute decorative frames that you can get from Hobby Lobby. They’re always half off and then I already had glass to use for my magnetic area. SECOND: After seperating the glass from the frame and all the paper, I used Krylon Magnetic Spray Paint. 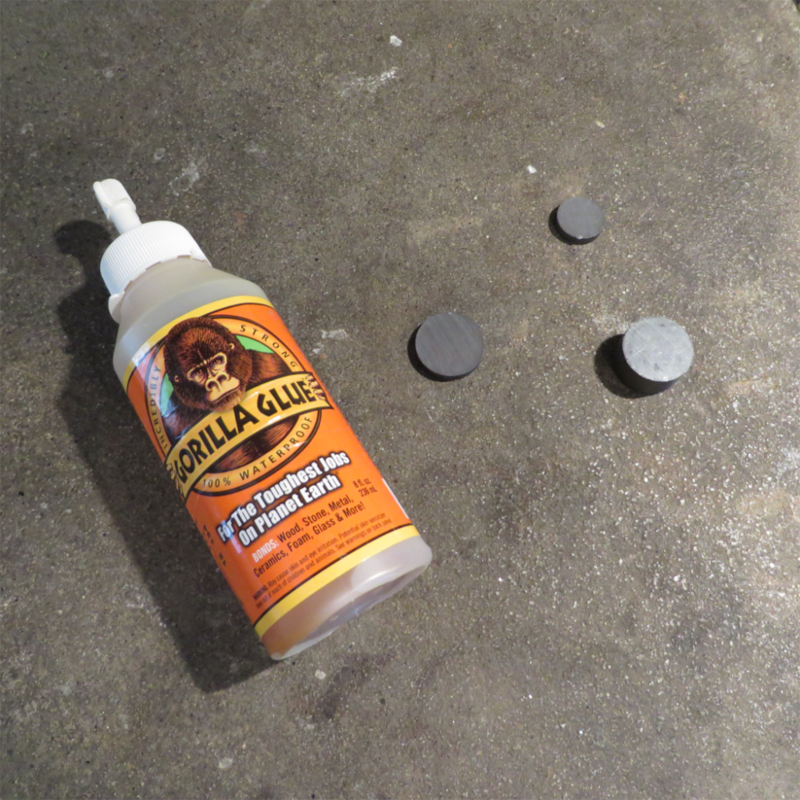 The more you apply, the stronger the magnetic surface is. I used about half a can on the 8×10 glass. Here it is all cleaned up and dry. The can recommends letting the paint dry for 24 hours. That’s exactly what I did and this turned out perfectly. 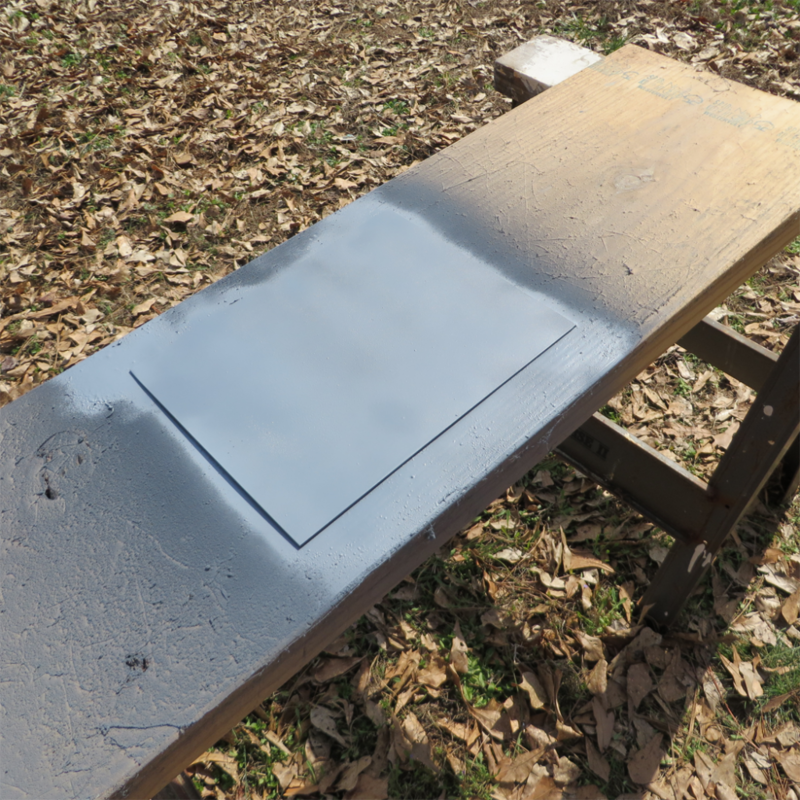 Except for a few user errors and the wind blowing some stray debris into drying paint, for light weight items and good magnets, this magnetic spray paint works. THIRD: After reassembling the frame, I grabbed my trusty Gorilla Glue and various sizes of magnets laying around the house. 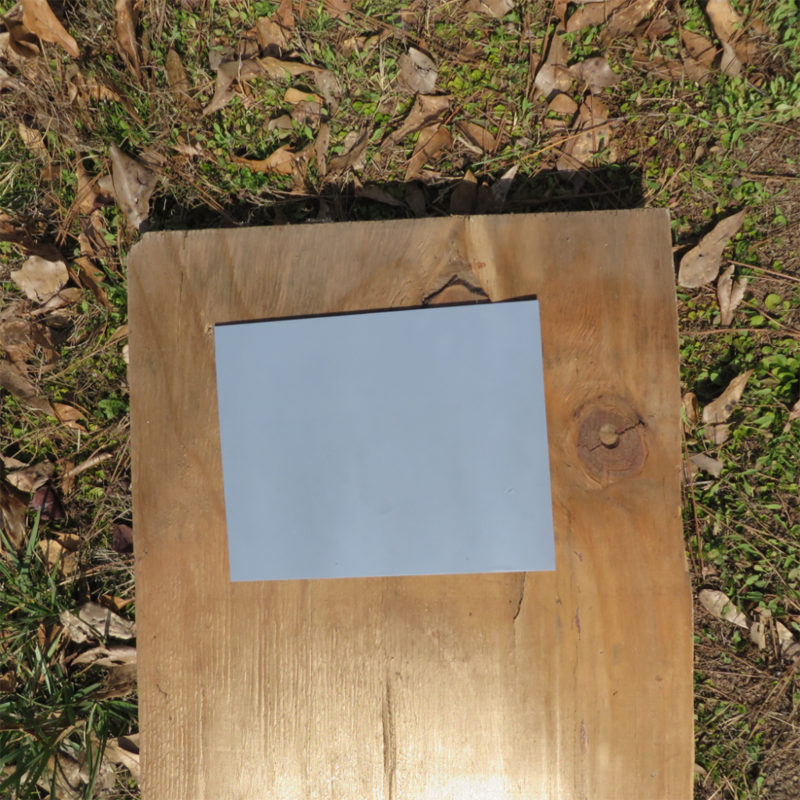 For the 8×10, don’t use anything smaller than a quarter coin. The 5×7 one I used an assortment of quarter coin sized magnets and nickel coin sized magnets. Gorilla glue expands A LOT while drying. Make sure you put something on top of the magnets so they don’t move around while the glue expands. Leave it to dry as long as possible. I used 12 quarter size magnets for the 8×10 frame to make it stay on the fridge and not slide around. Had I used stronger magnets, it probably would not have taken nearly as many. It only took four for the 5×7 frame because I had stronger magnets available. Voila! 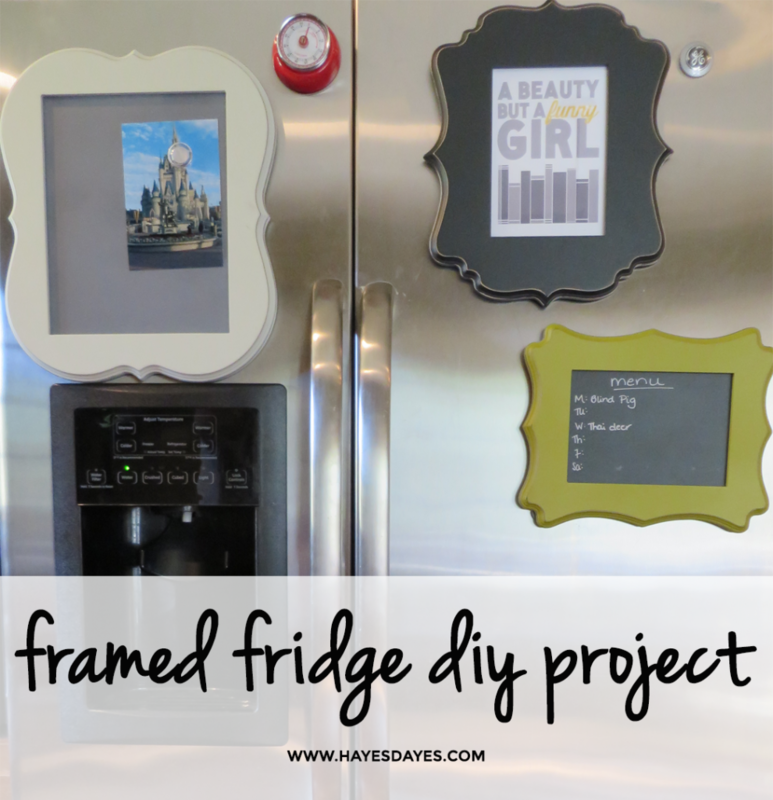 Once the glue is dry, put it on the fridge, and you have a framed fridge! I also made one with one of my favorite Disney inspired prints. The chalkboard one I used chalkboard vinyl surface and covered the glass that came with the frame. I’m using it for my grocery list. 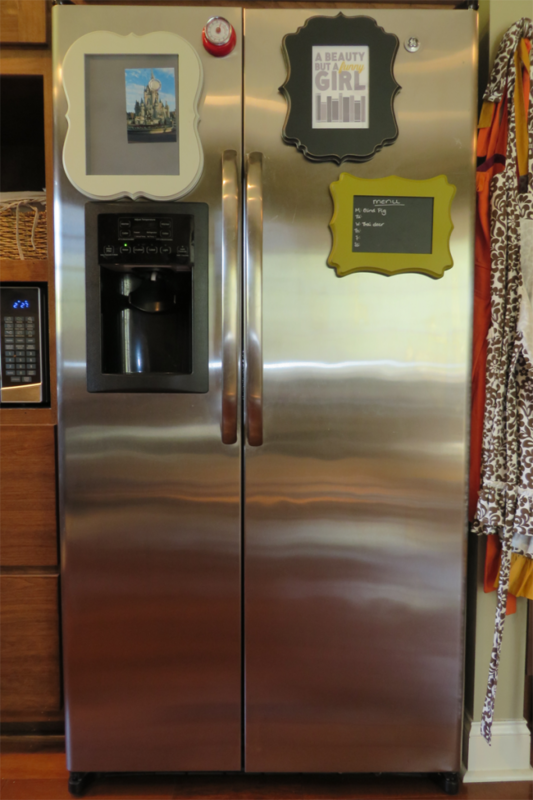 FIY, the magnets can scratch a polished stainless steel fridge, so be careful! What do you think? Is this something you’ll try? How do you keep your fridge organized? 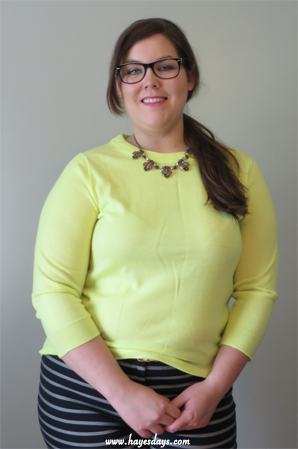 Linking up with Crafty Allie for Worthwhile Wednesday. So there’s been a lot of style this week. Sorry about that. 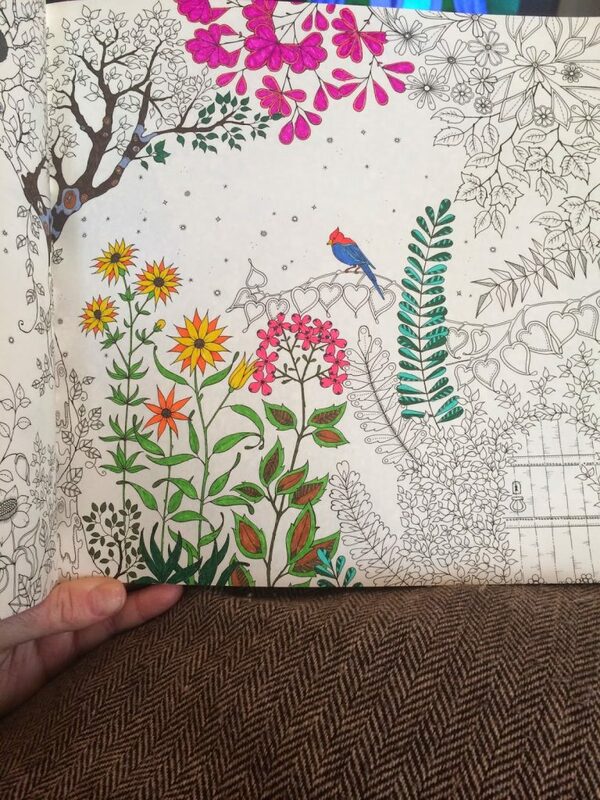 I’ve had little more than just enough time to get dressed this week (and color) much less have time to get crafty. Hope to be back to my diversified self next week! 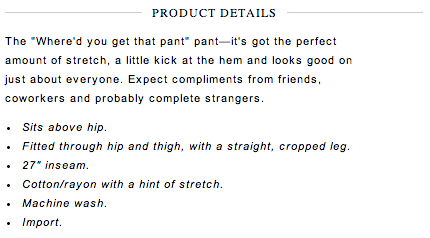 First off, I really prefer cropped pants. I like the way they look on me, so these pants immediately had that going for them. Then I found them super cheap at the Gap. The next natural step was to try them. Their fit was great. 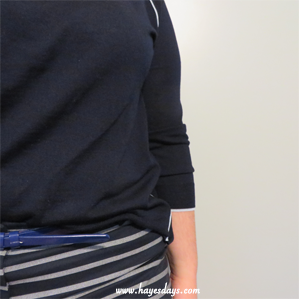 The slant front pockets are situated high so they don’t gape or create more visual space on the waist. 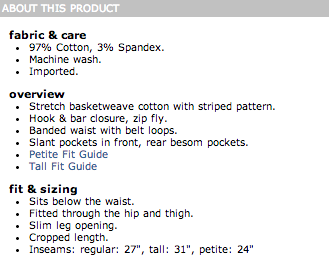 According to the description, it says they fit below the waist. On me they fit at the natural waist. There is just enough stretch in the fabric that it doesn’t get lumpy during the day, but are very comfortable still. I’m looking forward to getting another pair soon. My goal in remixing these pants was to use the same sweater+pants+heels combination to show that these pants fit well in a simple work outfit formula. It took less than 5 minutes to put together these outfits, which is key to me in the mornings. (I really like my sleep.) I’ve also worn these pants so far with a tee and some colorful wedges. There may also be plans to mix them with a dotted oxford… we’ll see about that later. Besides the fact that I need to put tape marks on my floor so I get consistent pictures, I you can see the versatility of these pants. For all intensive purposes, the outfits are “identical,” but give the formula look a different feel by switching up colors for the components. I am VERY happy with these pants and highly recommend them. As much as I love getting all dressed up and remixing my favorite pieces, I am so excited that today is my jeans day at work. That privilege will be fully taken advantage of. 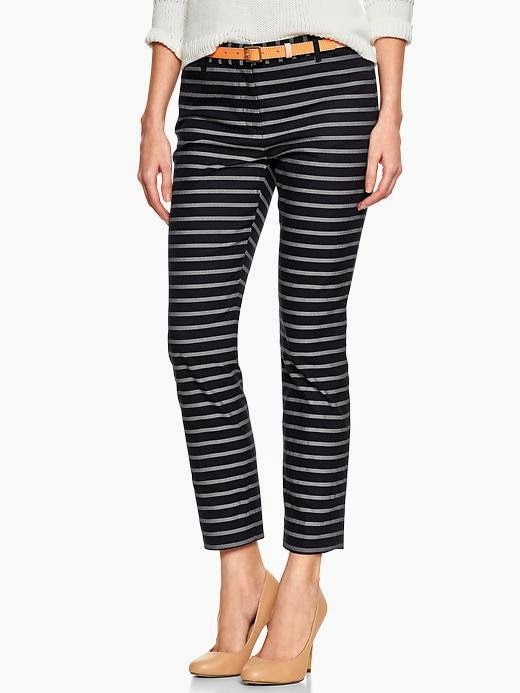 Have you found your favorite work pant? Tried any of these? This week, my new favorite thing are these Staedtler pens. Not just a few either. 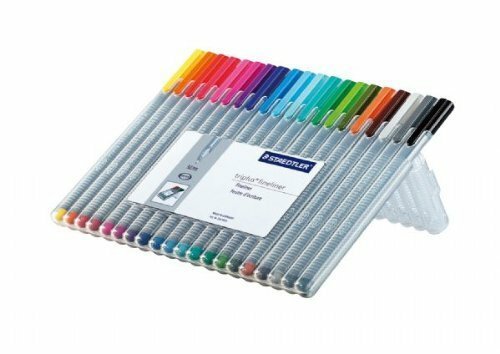 The mother of all packs with 20 different shades of pens. 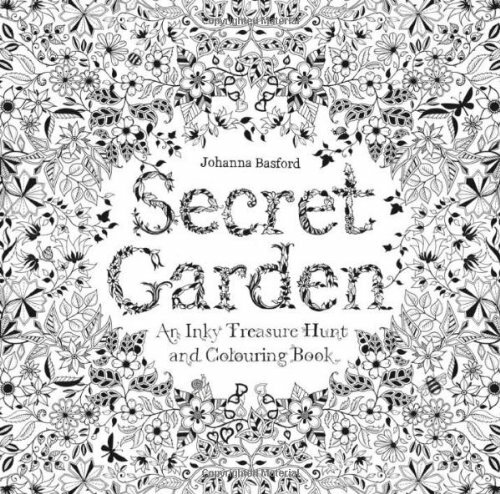 This inky treasure hunt book is my second favorite thing this week. 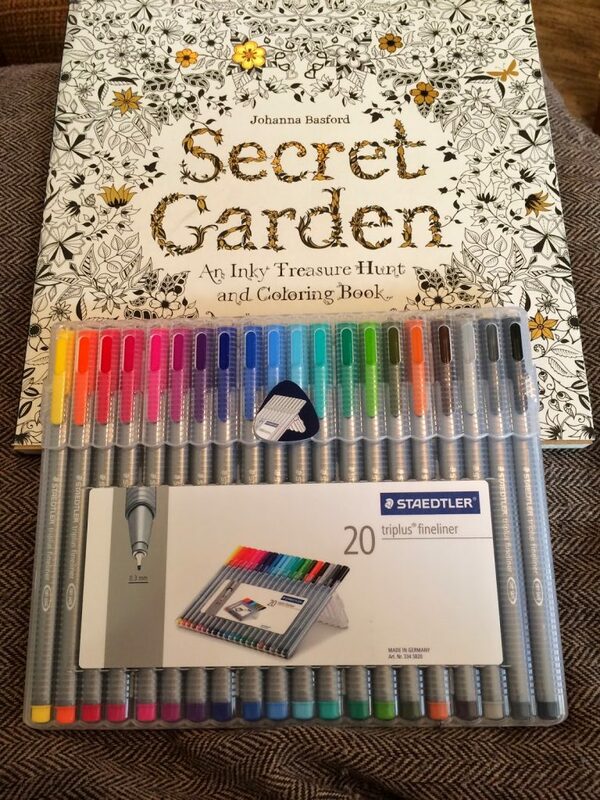 Coloring the teeny tiny detailed drawings in this book and following the treasure hunt with my new Staedtler pens has been amazingly relaxing and cathartic at the end of the days this week. Also all I can think of is the Secret Garden and how much I watched that movie as a child. So nostaligic as well. This is my progress so far on the first picture. I may even be addicted. So what is your favorite this week? Let us know! Unfortunately there were not two identical colors brand new available to me so I tried my best to get similar colors and the best pictures of both with the resources available to me. Right off I have a few observations. There is definitely a “kick” at the bottom in the second picture of the Campbell. The Campbell also hits higher. There was about two inches of extra fabric that I was holding in the second picture. Despite how the Campbells look on me, I tried on one size smaller in the store and it actually fit better than the size you see in the pictures. The pockets lay flatter with the Campbells all around, the back and front pockets. There is most certainly stretch in the Campbells, which is also why I would size down. 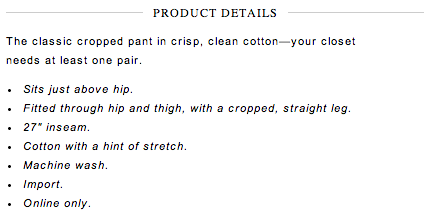 I never noticed much stretch in the Cafes, and that’s after having worn them for three years, despite it being listed in the J.Crew description. Overall I like the Campbell. Quite a bit more stretch and an inch or two higher rise than the Cafe. The fabric is much like the Minnie though and hugs in a similar manner, which I’m not a huge fan of. 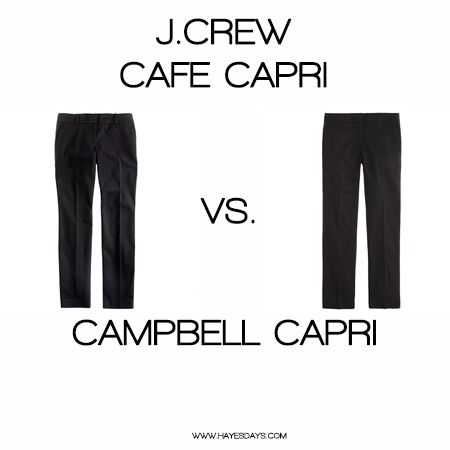 Also, I’m comforted that I can still get my basic colors in the Cafe Capri online from J.Crew. I recommend both pants, but can’t whole heartedly recommend one over the other because I think the rise and fabric composition differences make them completely different pants. If you’re looking for something with structure, the Cafe is it. If you want some stretch and something a little less curve hugging than a Minnie pant, the Campbell is it. Have you tried the Campbell? Or the Cafe? Do you have a favorite?